The Garden of Allah began as the palatial home of Alla Nazimova, a star of the screen in the silent film era. (Reports vary, claiming she bought the house in 1918, 1919, or 1921). 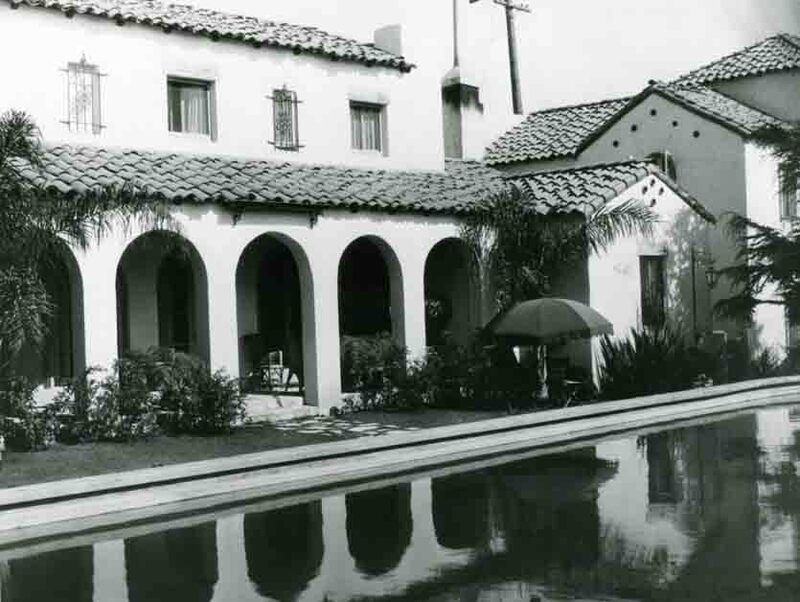 As talkies began to force many of film’s original luminaries out of the picture, in 1927 Nazimova was advised to convert her mansion and the two-and-a-half acres on which it sat into a business property that could provide her with income in her retirement. The Garden of Allah Hotel was once Hollywood’s most famous, or perhaps infamous, hotel during the 1930s and 40s. In 1918, stage and screen actress, Alla Nazimova purchased property on Sunset Boulevard and built a rambling hotel which she named the Garden of Allah. The hollywoodphotographs.com website has the largest number vintage Garden of Allah Hotel photos. All the photographs are available for purchase. 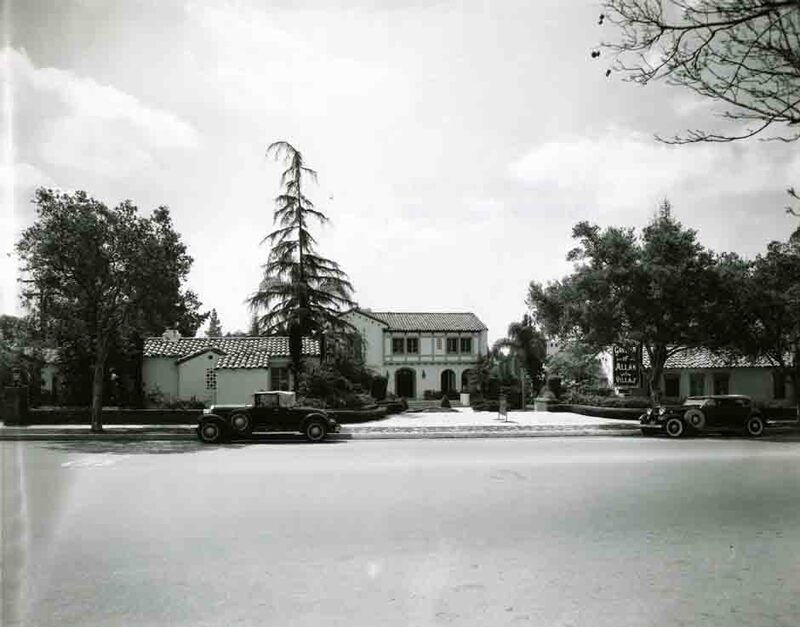 8152 Sunset Boulevard, early 1900s: The mansion, then owned by real estate baron W.H. Hay, had forty rooms, with floors of teak, and richly carved decorations in rosewood and pale mahogany. In 1918, he leased the estate to famed Russian silent screen actress Madame Alla Nazimova, who named it The Garden of Alla. Beguiling movie audiences with her emotive performances in movies like Salome and Blood and Sand, the dark beauty was one of the highest-paid film stars of the era. She paid $50,000 for a 90-year lease on the three-and-a-half acres when Hollywood was still a small town with undeveloped tracts and plenty of dirt roads. Nazimova immediately commissioned a state-of-the-art swimming pool shaped like the Black Sea—then the biggest pool in Hollywood, and, of course, a nod to her native Yalta. The Garden of Allah Hotel on Sunset Blvd. at Crescent Heights Ave. was, not only famous, but also infamous for the publicity it received as one of Hollywood’s hotels. Built in a Spanish-Moorish style of architecture, it derived its name not from Islam but from stage and screen actress Alla Nazimova, its original owner. 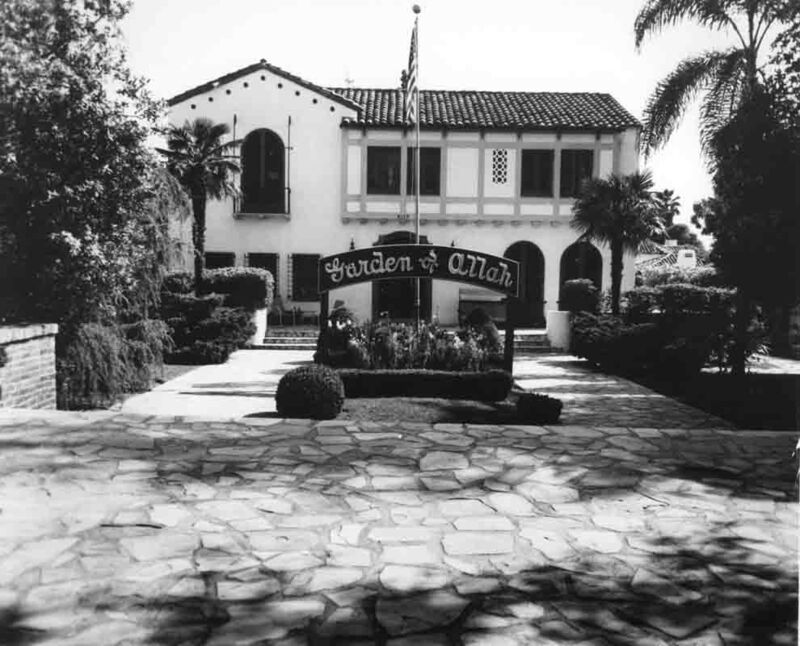 Originally known as The Garden of Alla, it was a mansion at 8080 Sunset Boulevard, built in 1919. It became notorious for the wild parties allegedly held there by the openly lesbian Nazimova. 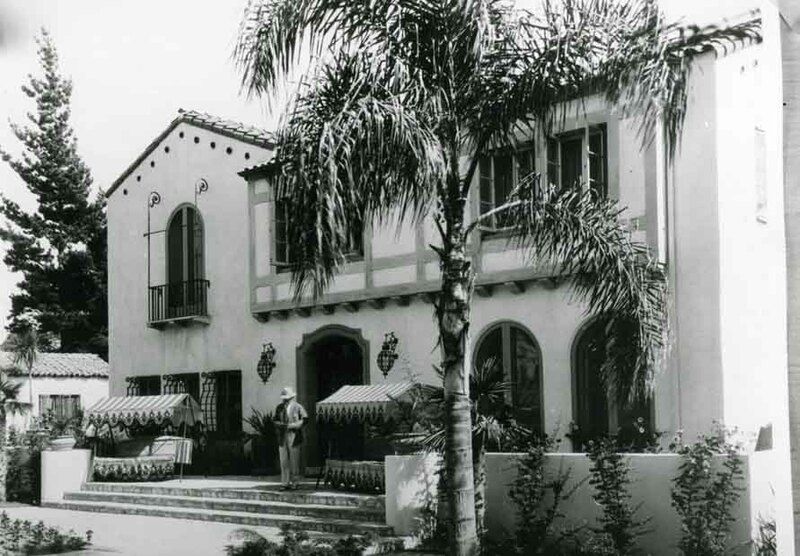 As her acting career declined, Nazimova built a complex of 25 villas around the main building in 1927 and was located at 8152 Sunset Boulevard. Though Nazimova later sold the property, she continued to live in one of the villas on the grounds.